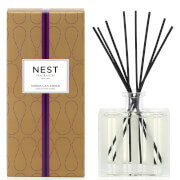 Infuse your home with a rich, fruity aroma using the NEST Fragrances Japanese Black Currant Classic Candle; a single wick candle that arrives in luxurious NEST Fragrances packaging. The simple white candle is presented in a minimal, clear glass tumbler, which is able to complement and enhance any room in the home. 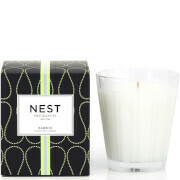 Created with highly refined, cosmetic grade wax and fine fragrance oils, the classic candle is renowned for its ability to infuse a room with fragrance. The Japanese Black Currant collection boasts a rich berry scent, which is enhanced with fresh notes of Mirabelle Plum, Kadota Fig and Sandalwood. 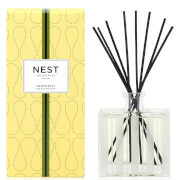 Expect a nature-inspired aroma that is long-lasting and energizing.